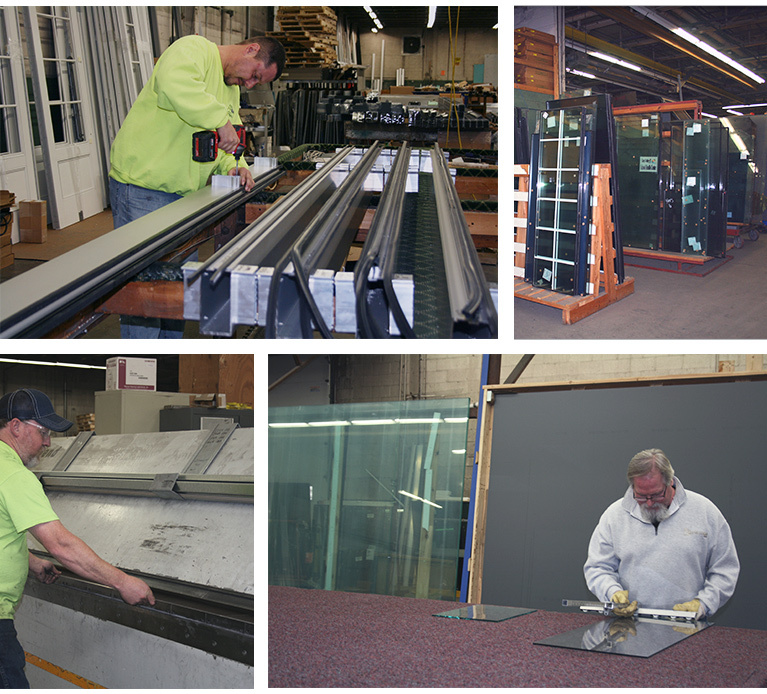 Hershocks offers in-house fabrication of aluminum entrances, curtainwalls, and architectural panels. The state-of-the-art facility is complete with the most modern precision fabrication equipment including CNC machinery to fabricate architectural panels. This facility enables us to pre-cut and pre-assemble aluminum systems under controlled conditions, which in turn helps the field installation go more smoothly. We have the capabilities to self-perform many of the tasks that other firms have with aluminum vendors complete, thus giving Hershocks greater control over the final product and timeline. We also have the ability to use hardware and equipment from outside sources to meet customer specifications, which give Hershocks an advantage over competitors when it comes to doors. Hershocks also has in-house glass cutting capabilities where glass and mirrors can be cut to meet your needs. For more information about our in-house fabrication and glass shop capabilities, call 717-238-7331 or request an appointment.